Human placenta as a dual biomarker for monitoring fetal and maternal environment with special reference to potentially toxic trace elements. This was the book that inspired me to become a placenta consultant, so I am very passionate to share with you. It is beautifully written and very easy to read and understand. This book is great for midwives, birth doulas and those who work closely with pregnant women. I would go so far as saying that every Mother-to-be should read this book. Lim gives a comprehensive insight into placenta as an organ and the function of this magnificent organ between mother and baby. Lim explains the placenta holds a true place in the birthing history of our ancestors and goes on to describes the reasons why and how placental traditions lost their value with modern medicine and in hospitals. The great thing about this book is that you can dip in and out of it, learning old folk traditions, urban myths and giving you general stories of how the placenta use to be worshiped. I particularly love reading about the many types of ceremonial and burial traditions. Happy reading! This was my first ever placenta book I bought. Had I not bought placenta:The Gift of Life I may never have been a placenta encapsulation advisor. Its where my placenta journey all began. I devoured the book in a day and just can’t get enough of it. ThisÂ book really makes you think about the placenta and its function. It has made me embrace my career as a placenta encapsulation advisor. In the UK times are changing. Women no longer see the placenta as aÂ disposable organ. Women are keeping their placentas to be made into placenta pills, placenta tinctures, placenta essence, placenta creams, placenta balms and ever placenta smoothies. There are so many benefits in consuming your placenta that it shocks me as to why this is not offered on the NHS, especially when midwives and consultants throughout the UK are reccommmedning placenta encapsulation to women. 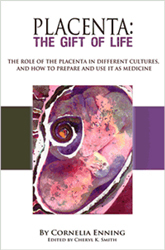 Placenta: The Gift Of Life is a book thatÂ will be kept on my bookshelf for years to come. An excellent book, I just wish there were more pages!